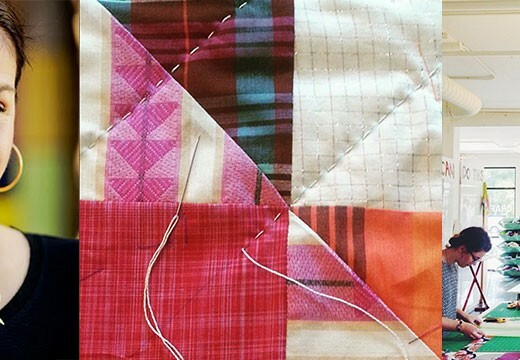 Fiber folk 1: I first met Andrea via Instagram and was amazed by her beautiful designs, sweet smile and genuine approach to making and sharing her knowledge. After getting to know her a bit more I realized what an inspiration she is to the fiber community and I know so many of you will resonate with her story. You can find Andrea on Ravelry at Dreareneeknits and on Instagram @dreareneeknits. Man on the Street: For this week’s “Man on the Street” I’d actually love your input on what to ask the Man on the Street team for future episodes. Visit the Woolful Ravelry group and let me know what kinds of questions you’d like to hear the team answer. 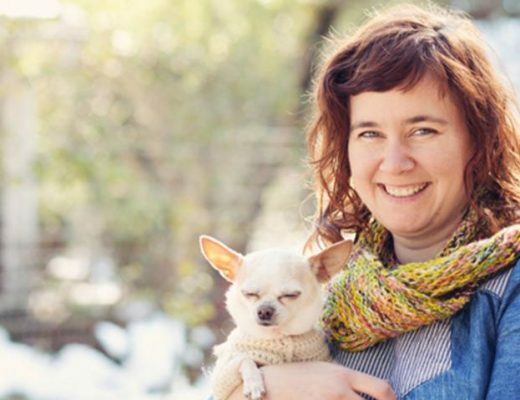 Fiber folk 2: Our next guest, Shelli is a mother and grandmother, landscaper, designer, maker, vintage enthusiast and owner of one of my favorite yarn shops, Knitterly in Petaluma. Shelli’s passion for local farm yarns is what initially sparked my interest and was reinforced by her dedication to teaching and sharing through her wonderful shop and her love of knitting. You can find Shelli at knitterly.net and on Instagram @knitterlypetaluma. Giveaway:The winner of last week’s giveaway, is Tonya from Plain and Joyful Living! You’ve won three skeins of Local yarn from O-Wool, to make the lovely Blue Bell Hill scarf pattern. Congratulations! This week’s giveaway is sponsored by both our guests, Dreareneeknits and Knitterly. We’re giving away Andrea’s most recent Radius collection featuring 4 gorgeous patterns, including a hat, slippers, headband and cowl. We’re also giving away two skeins of Shelli’s Radius bulky yarn made from local farms fibers, which is the yarn that inspired Andrea’s collection. To enter this giveaway, leave a comment below. Very excited for this one!! Another great episode. Thank you for taking the time. So inspiring to listen to your guest talk about what they are doing. Oh I’m so excited!! I’ve recently started following Andrea on Instagram and ravelry and I love her designs! Also, she’s a Michigan girl (I think?!) which means she’s super awesome! Can’t wait to sit and enjoy this episode!! as always, can’t wait to dive in!!!! Thank you for introducing us to these great sources for small farm yarns. Started listening on the drive in this morning, so excited to hear from these ladies–and their giveaway looks incredible! Oh! I’ve been coveting those slippers!! My feet always feel cold…I can’t wait to make them. Thanks for the chance to win! My Tuesdays are always good with a podcast from Woolful! Love all the FOs pictured on this one. I’m going to have to go poking around on Ravelry, I think. Great podcast and very inspirational! Glad to hear of another Michigan native succeeding in the fiber world! I would be honored to win the giveaway this week. Lovely yarn and fabulous patterns. Also looking forward to hearing Shelli's story, Knitterly seems like such a cool shop! what a fun episode! For the man on the street i think you should ask when people find themselves crafting the most – is it in times of stress as a relaxation method? Or in times of calm, to relish the time? Great giveaway 🙂 i love those slippers especially. Love Woolful and would love to cast on the Hygge cowl! Two favorites! One new and one old. Thanks for always inspiring!! I want to see interior photos of KNITTERLY! You spent so much time talking about it and I am DYING to have a tour! Please post photos or better yet—a little video? Also, I am OBSESSED with your podcast, I LOVE LOVE LOVE it and now I want a yak and a herd of sheep—could I fit them in my 1200sq ft NYC apartment you think? What a great episode! Loved hearing about all the farmers, knitters and shop owners who are dedicated to their craft. Nice job ladies! I am moving from the Pacific Northwest to the Florida Panhandle in the next few months, and I am considering opening a LYS in my new town. 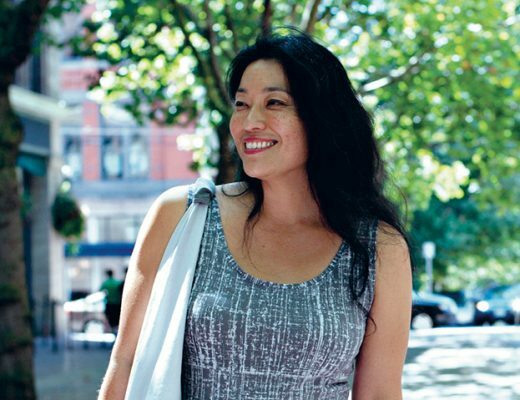 Listening to Shelli’s story, I was really inspired by her ambition & entrepreneurial mindset. Thanks for another great podcast. Sounds amazing, as always. I ordered some Radius recently and am excited to hear Shelli’s story. I’d love to make those slippers. Love this one! and Andrea! I feel like we’re all friends because of instagram. Keep going and I can’t wait to knit your designs! 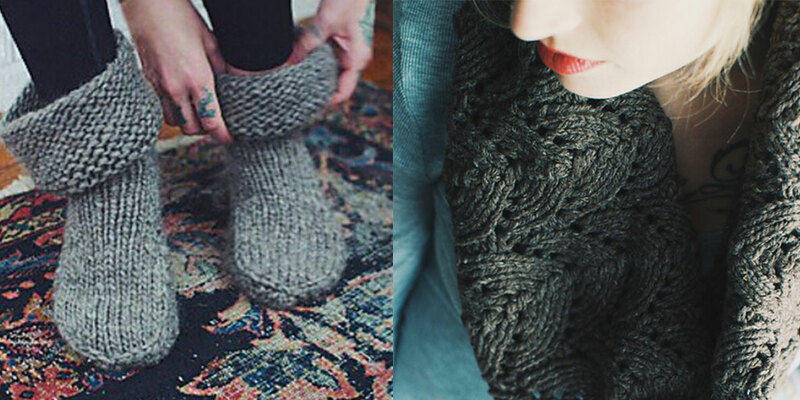 I just bought some greenbow lopi and am debating whether to make your cowl or slippers… or both! Another wonderful podcast! I am obsessed with Andrea’s hat and slippers! I’m still probably considered a beginner knitter but these lovely patterns give me so much inspiration and a goal to work towards! I also loved hearing and learning about Radius! What I would give to win this weeks giveaway!! In bed with a head cold, at least I have yarn and the newest podcast. What a wonderful giveaway! I’m so sad not to live within driving distance of Knitterly anymore. It’s my favorite LYS. I really enjoyed this episode. I will be in the petaluma area next month to visit family and i can’t wait to stop by Knitterly. Another excellent give away! Can’t wait to listen to the new podcast. 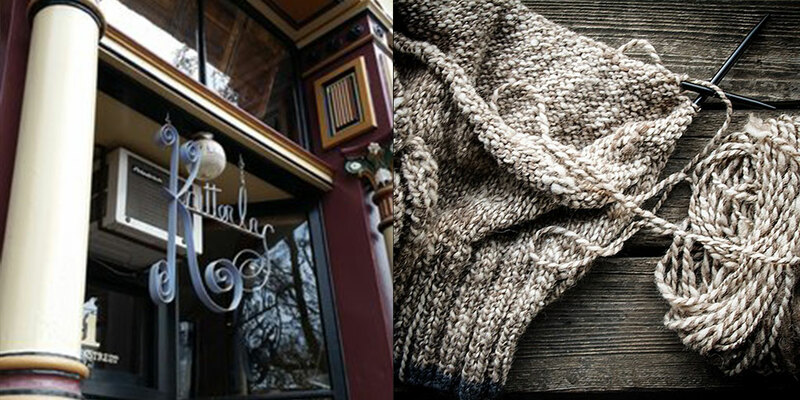 Knitterly is a local treasure and an inspiration for us yarnophiles and makers. It would be such a pleasure to ‘win’ something from you all – although just having you all in our lives is to be a winner already. Thank you for sustaining us! I feel like using Radius way over here on the east coast is out of bounds, somehow, but I’d like to try it anyway! thanks for the podcast, getting me through another chunk of this unending garter stitch project. So happy to discover this podcast! 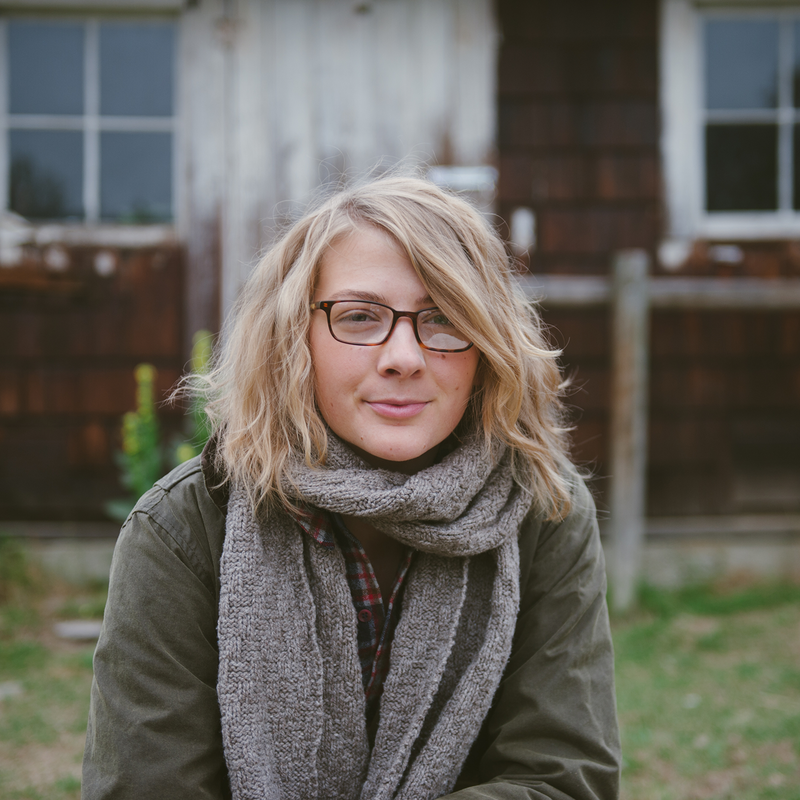 I loved learning a bit more about Shelli and her knitting journey. Knitterly is my favorite store. I love to go there with nothing particular in mind. I wander until the next project just hits me. You buy the yarn, but the inspiration is free! Adding Woolful to my RSS feed. Good stuff. Your podcast is inspiring me to delve further into the world of wool and dyes and pattern making… I thought I was content to “just knit” but I’m realizing there’s so much more I can do to increase the depth of my knowledge. This episode was especially exciting to listen to! fantastic!! i love dreareneeknit’s designs and have been meaning to join her lilaknitalong. love your work ashley!!!! I can’t wait to visit Knitterly the next time I’m in Sonoma County. I’ve dabbled a little in my own designs as well, and Andrea was very inspiring to do more! So delighted to see that it was podcast day today! Thanks for another delicious giveaway!! So enjoyed this podcast Very inspiring to hear the passion and love these women have for their work. thank you! Ohhhhh! Those slippers and that headband are in my queue already! It would be so awesome to win the yarn. I love all her designs. This episode was so inspiring! I have recently discovered Andrea’s designs and have been obsessing over them the past few days. I was so excited to hear from her on the podcast today! Another wonderful podcast. The patterns are beautiful and I’d love to try out the radius yarn! Love the podcast and the collection in this giveway. I sit in Wisconsin kicking myself because I was SO close to Petaluma on a recent roadtrip and didn’t know about Knitterly. Sigh. I started one year ago a little yarn shop in Mallorca, Spain and I loved to hear about Andrea and Shellie’s experience. Here in Spain many people still knit with acrylic yarn and it is not easy to open their eyes to use natural fiber yarns, organic cottons, natural or low impact dyes. I am on a long journey, but I am sure it is worth while. Thank you for your podcasts. They are so inspiring to me. would love to win the contest. Knitterly is my favorite yarn store in my area. This is the first time I’ve heard your podcast…loved it! I’m a friend of Shelli, and I’ve really excited to be able to live close to Knitterly so I can take Andrea’s workshop in June. Looking forward to the next podcast! Just learned about this podcast and will tune in on Tuesdays going forward. What fun! Wonderful Podcast. I am raising 4 kids and the youngest is 10. I I am being selfish and doing something I have always wanted to do, which is learn to knit fabulous sweaters. I am so lucky to live 20 minutes from Tolt in Carnation, WA and they know me well since I have taken almost every class offered. I will be in our native Northern CA for Easter and plan on taking a jaunt to Petaluma to visit Knitterly. Almost finsihed with my first sweater, which is Amy Christoffers Moxey. I am going to feel like a rock star when I am done. Thanks for all the wonderful inspiration ladies. I am so inspired by this episodes’ two guests, thanks very much Ashley! OBSESSED! I want to visit Knitterly next time I’m in cali! Best episode yet! Both your guests are such incredible inspirations! I adore them and their businesses. Thanks for doing what you do Ashley! Thank you so much for your wonderful podcasts! They inspire me each week and I look forward to every one. This community is so wonderful and I’m proud to be a part of it. Wonderfully inspiring podcast. I’ve been shopping at Knitterly since my daughter was just a baby. She is now 14! Thank you for featuring these creative women and for their amazingly generous giveaways this week! I am always so inspired by your interviews. thanks! This podcast you do each week is awesome. Always leaves me inspired. The giveaway is a bonus. You’ve made my morning and evening commutes infinitely more enjoyable. Thank you so much! Thanks for another great episode that I listened to while casting on for the Moto Vest KAL. So much joy is experienced while I knit and listen to your podcast. Thank you for sharing this with the world. I recently purchased 2 of Andrea’s slipper patterns – they are great designs. I will have to try the Radius yarn. It’s always great to support local farmers! I’m trying to curtail my desire for more yarn, but I could definitely make an exception for this! Another great episode, Ashley! Great work, even with your cold. I just purchased the Moto Vest pattern last night and can’t wait to get going on it! Knitterly sounds wonderful – my husband and I are planning a San Fran visit for the summer, so that might just have to be a little side trip! Thanks again for all the inspiration. Looking forward to the next episode already. So great to hear about the inspiration for both the pattern collection and yarn featured in this week’s prize. Would love to be the recipient — I’m sure while working on one of the projects I’d feel that special energy from the fibre that Shelli talks about! Love Shelli and Knitterly! Love, love, love local wools and yarns! Love this podcast! Another great episode! Now i want to go to visit California! Lovely episode, as usual! I love Andrea’s designs and Knitterly! Baby napping, I am spinning and listening to your podcast. Thank you! Great inspirational resource. I am in love with Andrea’s Radius collection! I love that cowl and hat and I think how she uses different size yarn and needle sizes to shape is so creative! I always love the sound of knitting needles in the background! (and when Caroline Kaufman was on I could hear shears cutting fabric :). I love, love, love Woolful! Another great podcast! I was especially interested in Shelli’s move from landscape designer to yarn store owner. Being open to new possibilities and opportunities is part of the journey! Thank you all for the inspiration. I had a nice time listening. Thanks for a nice podcast. Would love to be the lucky winner. Thank you for the opportunity. Just discovered your podcast and absolutely love it! !Thanks for a great contest prize! I really liked the connection between the first and second interview in this episode! I only recently discovered Andrea, through instagram where she’s hosting the Lila KAL, and I look forward to seeing what new designs she comes up with! Love the natural colors! So beautiful!!! Beautiful patterns. Love listening to your podcast. I always learn so much. Loved this episode! We visited Knitterly last spring on vacation and I brought home some of that lovely twirl. Listening to your interview took me right back to that beautiful store. Thank you for this wonderful podcast! Mmm i love narural coloured woolly wool. Hope you are feeling better! I just recently found your podcast and I really enjoy it. I can’t wait till the next episode. I’m so looking forward to listening – Knitterly is such a wonderful shop. My daughter used to live in Petaluma and I could walk to the shop when I visited from the East. This is a fantastic episode. They all are, really. I listen while I nurse my son, it’s perfect. I can’t wait to start my moto vest! Thank You for all you do here! Truly inspiring! I have heard others talking about the Woolful podcast and this was the first one I actually listened to! 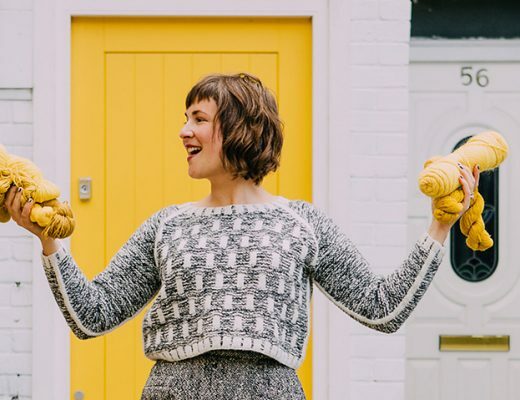 I have been disappointed by knitting podcasts in the past (they put you to sleep) but I loved this one! I felt like I really got to know Shelli and Andrea and I loved being able to browse their patterns and websites while listening to them. I’m about to go back through the rest of your episodes, can’t wait for more! Wonderful episode as always! Thank you for inspiring! Every podcast my mind is blown open more and more. Wow. Just found your podcasts, and they’re so interesting! 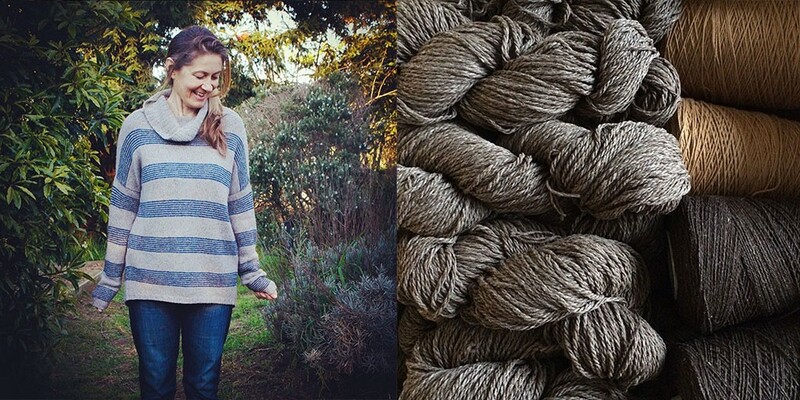 It’s fun to hear more about the production of wool, and designers/knitters’ inspiration! I really had no idea about superwash wool. It seems so obvious now that you’ve pointed it out, but I really (used to) think it was the best of both worlds. 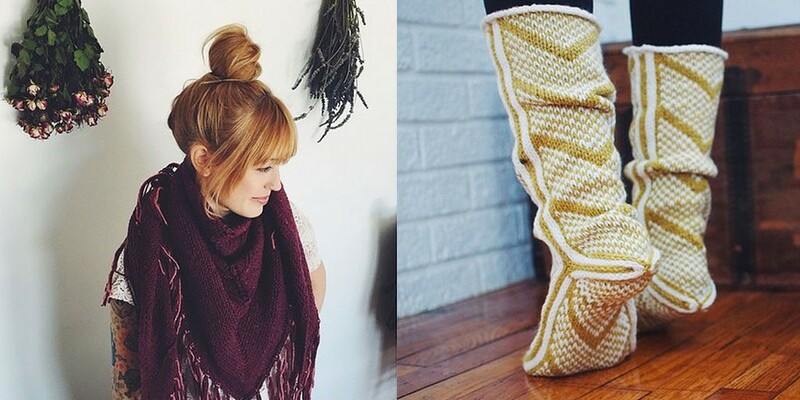 Amazing patterns and beautiful yarn! I got really excited when I saw on Andrea’s instagram that she was on the podcast of this week. I’ve been silently following her pretty much just cause i secretly love, absolutely love everything she knits! I would like to say we have a similar style of knitting, but really, hands down, she is much better! As for Shelli and Knitterly, I’m totally new to but, she sounds like a really simple and inspirative lady and her shop, well yeah, its another yarn store i want to go to and get lost in all the skeins of yarn! I think what Andrea and Shelli got to share in between them and with us is fabulous! I hope to get the chance to knit with them, and not just over the podcast! Thanks for another inspiring episode! I loved this week’s episode and am so excited to realize I’ll be near Petaluma this weekend. I’ll definitely be going by Knitterly! Thanks for another great episode. This one brought my attention to some very lovely patterns by Andrea that I can’t wait to try out! And as usual, two inspiring fiber stories. Look forward to learning about other people in this community every time I hear your podcasts. Thanks! Always gives me new things to buy and try! I was so excited to listen to this episode! I’m knitting up one of Andrea’s designs right now, and have about 3 more in my queue. Every week I enjoy the podcast but this week I was surprised to hear Andrea Renee. I’m constantly looking at her posts on instagram and I am grateful for the opportunity to learn more about her journey. Another lovely episode. Always a pleasure to tune in. What an awesome giveaway! I have really been enjoying your podcasts, and found this week to be particularly interesting and inspiring. Thanks! I love when I can hear knitting needles clicking along on the podcast. As I’m usually knitting while listening, it feels like being part of a virtual knitting circle! I can’t wait to listen to this episode. I just listened to the episode with Woolcrush and Maryanne Moodie and feeling so inspired and opened to possibilities – and dying to get home from and weave. Love the yarn, love the patterns, and always love the podcast! Such a lovely episode–after hearing all of your guests each week, it feels like anything is possible in pursuing fiber/natural-living dreams. Thank you for sharing this community with the world! So excited to have discovered this wonderful wooly world! I look forward to many more pattern ideas and wonderful yards! Loved this episode so much! Keep up the good work! Yet another fabulous podcast and what a generous giveaway with amazing yarn and patterns! 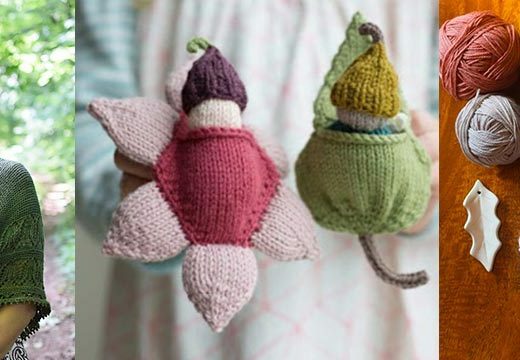 I listen to Wooful as I put my toddler down for bed at night and inevitably there’s always a mention of a knitter or farm or shop that I’m dying to get online and lookup and follow and buy their patterns or yarn from! Fortunately for me my daughter goes to sleep pretty fast. 🙂 Thank you for your wonderful inspiring and informative podcasts. I get so excited everytime I see you’ve come out with a new one! Even the intro music makes me happy–I’m new to the knitting world but your podcasts have made getting addicted to the fiber world so easy. Loved this podcast! And would love to knit with Radius! Oh! these patterns and these yarns! I loved Andrea’s passion for knitting. Her California Comfortable slippers are so cozy knitted up in the Radius bulky yarn. They’re definitely on my list. Does it bother anyone else when people use the word ‘talented’ to describe your fibery skills? I feel that when people use that word (and they almost always do), they’re saying that they could never see themselves doing what you’re doing. Talent as something that you’re born with is a barrier, whereas skill means that it takes time and effort, but that ultimately anyone can do it. Thanks for another lovely podcast! So happy to hear about these wonderful ladies! One of my favourite episodes. Andrea’s patterns are just perfect. Lovely podcast! And I was so happy that Tonya won the last giveaway, I have been following her blog for quite some years and I think this particular moment was a perfect time for a little special package for her! Another great podcast episode. I would love to make the hat with that beautiful yarn. Although I had heard other podcasters give you high recommendations this was my first listen. Great job. I’m looking forward to new episodes and catching up on the older ones. This was my favorite podcast so far. Both women have such inspiring stories, I love hearing about people taking leaps into something new! Loved these interviews! I wish I could visit Knitterly. Radius sounds like just the type of yarn I would love. Thank you so much for your podcast Ashley! I have only just listened this week and have caught up on past episodes. Every moment is magical and I just adore the imagery. Ahhhhhh, just speaks to my soul. Wonderful podcasts! Love hearing all these fiber stories. Another wonderful episode! Both Andrea and Shelli are very inspiring. Thanks for the inspiration from two amazing women. Hope I can visit Shelli’s shop the next time I am in the Bay Area . Love the look of the Radius yarn. OooOoooo new things to knit with a lovely yarn. Would be amazing to win it all. 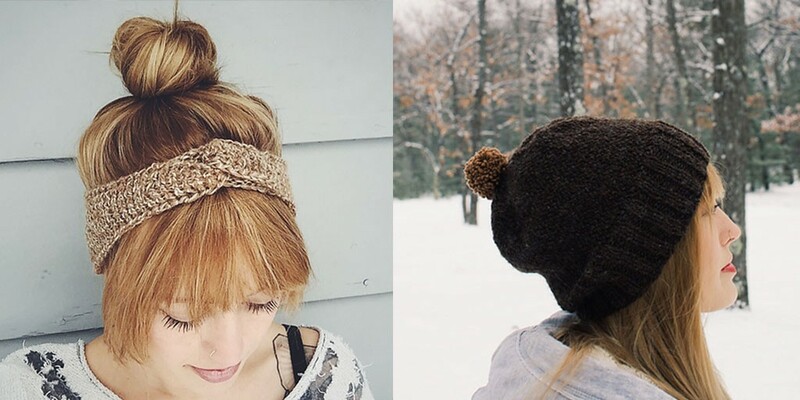 The Radius patterns are great – it’s always fun to find a new headband pattern. Happy to have found your podcast! Oh my! Would love to get my hands on the beautiful radius! Loved this podcast which has given me quite the inspiration in my knitting skills. I want to thank you so much for opening my eyes to this wonderful wooly world. I have been knitting for almost 2 years now but have only just started being fiber conscious, as the stores where I lived only sold acrylic yarns and I was not much of an online shopper (that has certainly changed!). My passion for knitting has extended into a passion for fiber, it is so satisfying and rewarding understanding where the yarn I use comes from and how it came to be. The stories told on your podcasts teach me so much and I am so inspired by the lovely hard working people in this community. I can honestly say that these podcasts have made my life so much better and have opened my eyes to amazing and endless possibilities. Thank you Ashley. Love Blacker yarns – have used them several times and they have both a sturdiness and a softness that is truly wonderful to knit with. Not tried the West County tweed yet though. What a wonderful podcast! So much information wrapped up in great stories!